IFTN caught up with Ireland’s busiest actor Moe Dunford to find out about his upcoming projects, who he has been most impressed with in the Irish industry in 2018, and how he would have ventured into the ice cream business, had his acting career not gone to plan. Waterford actor Moe Dunford is best known for his role on History’s hit TV series ‘Vikings’, in which he stars alongside Irish actor Jonathan Rhys Meyers, Katheryn Winnick, Gustaf Skarsgård, and Alexander Ludwig. He has also recently featured alongside Dafhyd Flynn & Lalor Roddy in Frank Berry’s ‘Michael Inside’, which picked up the IFTA for ‘Best Film’ at this year’s ceremony. Dunford first shot to prominence following his powerful display in Terry McMahon’s ‘Patrick’s Day’, which saw him receive a number of awards for his performance including the IFTA for ‘Best Actor in a Lead Role – Film’ at the 2015 ceremony. This performance also saw him pick up the EFP Shooting Star award at the 2015 Berlin International Film Festival. Since then, Dunford has starred in a variety of roles from that of the overly enthusiastic rugby coach Pascal O’Keeffe in John Butler’s ‘Handsome Devil’ to the cutthroat prison inmate, David, who takes Michael (Dafhyd Flynn) under his wing in ‘Michael Inside’. 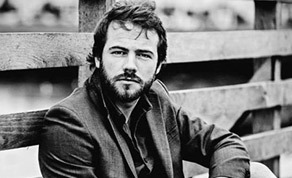 Dunford has also featured in a number of Irish short films such as ‘Leave’, which he starred alongside Ian Lloyd Anderson (‘Dublin Oldschool’), and Ian Hunt Duffy’s festival hit ‘Gridlock’, which picked up a number of awards including ‘Best Short’ at Foyle Film Festival & Cork International Film Festival. Having worked on a number of projects this year, those attending the 30th Galway Film Fleadh in July will have a chance to see Dunford in Lance Daly’s ‘Black 47’, which will close this year’s festival. Other upcoming projects include Treasure Entertainment’s ‘Metal Heart’, Stuart Drennan’s ‘The Dig’, Element Pictures’ ‘Rosie’, and Ian Fitzgibbon’s ‘Dark Lies the Island’. Moe also recently finished filming Fergal Costello’s new short horror film, ‘Stephanie’, a new 8-minute short shot in one continuous take, which will be out later this year. What are the best and worst aspects of your work? “When it comes to getting the work, sometimes you'd just love it to be as easy as sitting down with a director, looking them in the eye and saying "I want to work with you because I like this about your story, & I'm invested in it, let's make it happen!" What career do you think you would have if you weren’t in the film/tv industry, and why? Who has really impressed you in the last 12 months in the Irish industry? “Aoife McCardle, the Tohill brothers (Andy & Ryan), Brian J. Falconer, all them Northy's are talented feckers. “Daragh O'Toole, the composer for Michael Inside, and all of Frank's films - he's gifted, and constructs really powerful scores. ‘Black 47’ will close the 30th Galway Film Fleadh on July 15th.